Family vacations in Belarus are very popular: adults and children won’t be bored in our country! In order to find the most interesting places to visit for both parents and children, we picked up places for recreation and entertainment of both. We suggest you plunge into the world of childhood and have a great time with your child! For your attention, we have selected places and activities in Belarus, where the whole family can rest. More than half a century the Children’s Railway serves its young passengers. 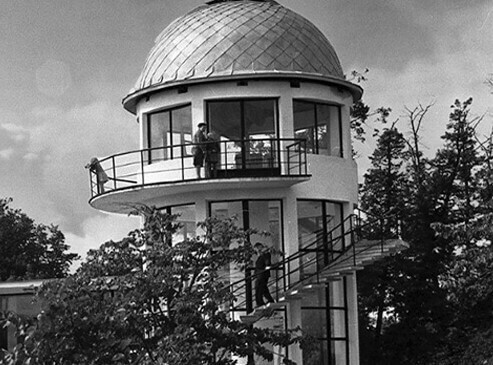 It was opened on July 9, 1955, and is an interesting place for family holidays in Belarus. The “Metropolitan Express” train is slightly smaller than the usual ones, while the gauge is standard. The Children’s Railway runs from May to October, but the train schedule needs to be specified on the website since it is different every month. You will be surprised, but all the passengers are met by young schoolchildren, who visit the “Young Railway Worker” circle and master the basics of the future profession. 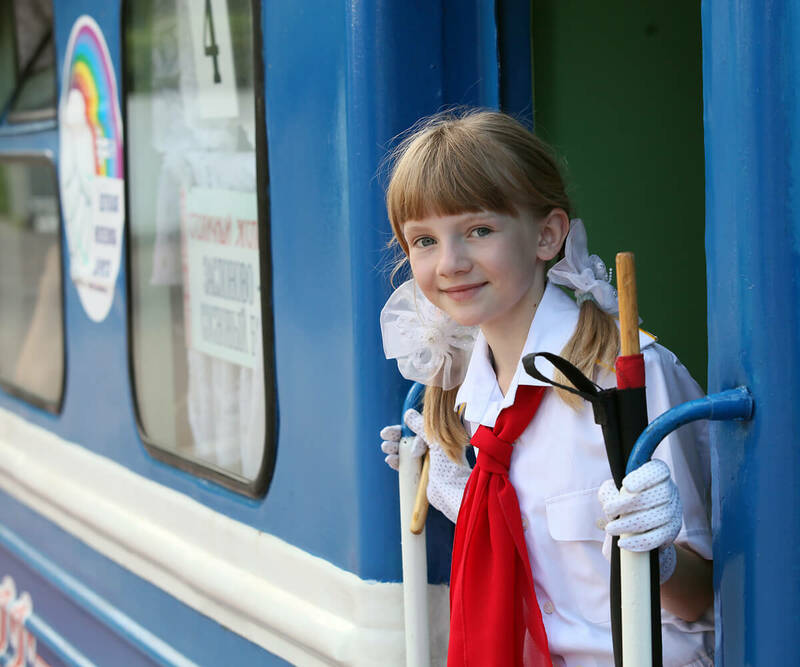 The conductors, the station attendants, and even the station chief are students of 5-7 grades. What is important, training in the “Young Railwayman” circle is free. “Metropolitan Express” departs from the “Zaslonovo” station and arrives at the “Sosnovy Bor” terminal station, which is located in the Stepyanka area in Minsk. Here you can stroll through the forest, buy an ice cream, and go back with the next train. The total length of the Children’s Railway is 4.5 km, the length of the main road is 3.79 km. Today the Minsk Zoo is home to a large number of animals: about 2.5 thousand animals of 450 species. There are exotic species, as well as rare inhabitants of the fauna of Belarus, which are listed in the Red Book (of endangered species). In summer and winter aviaries there are monkeys, lions, tigers, lynxes, pumas, noble deer, moose, camels, llamas, and other animals. Of course, it is worth to see the symbol of Belarus – the majestic bison. This is the largest zoo in the country, it certainly has something to see for parents and their children. By the way, children under 5 years old are admission-free. Find out 10 most typical traits of a Belarusian. An interesting place to visit for children in Belarus is the Nemo Dolphinarium. It hosts performances for children and their parents, as well as a romantic night shows (except for Monday). You will have an unforgettable experience! 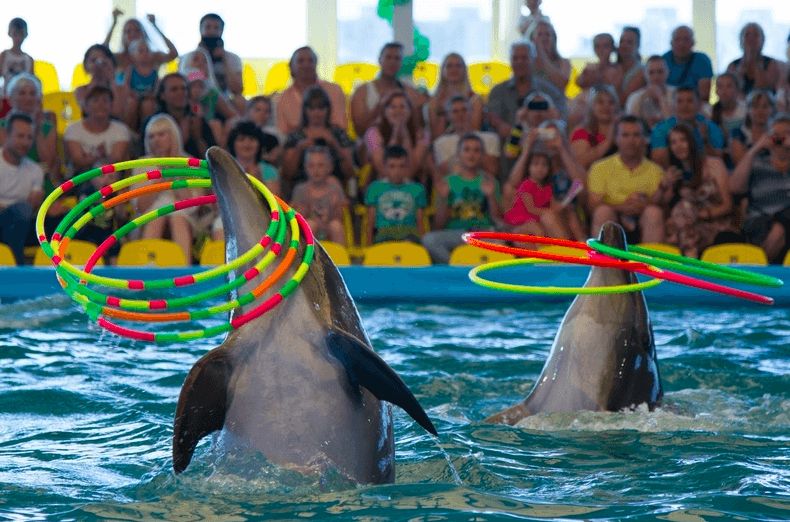 In the Nemo Dolphinarium, you can not only see the performances, but also swim with dolphins, dive with them, take photos, and take a course of dolphin therapy. One of the most unusual attractions for children in Belarus is the Minsk Planetarium. Observe the stars, see the planets of the solar system, learn about the meteor shower – all this can be seen while watching movies under the dome of the planetarium. The sessions of spherical films are held every hour, their schedules can be clarified by phone or on the Planetarium website. Another unforgettable thing to do in Belarus for both children and their parents is a visit to the Observatory, which is located in Gorky Park, near the Minsk Planetarium. During the day, you can see the sun, in the evening – the stars and the Moon, satellite of the Earth. True observations are possible only in good, cloudless weather. This is a good pastime for a family holiday in Belarus, and the impressions of children will last for a long time. It is impossible not to notice an interesting building with a dome near Gorky Park on Independence Avenue – this is the Belarusian State Circus. 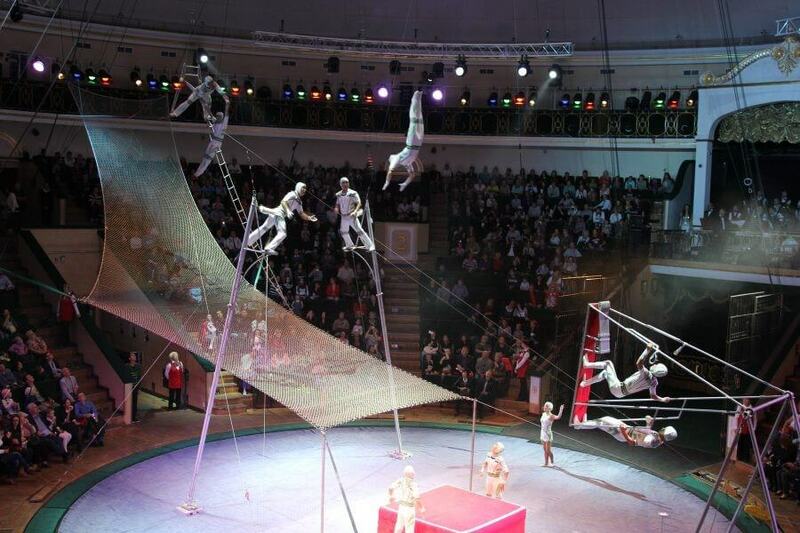 The Minsk circus is famous for its colorful and interesting performances not only for children but also for their parents. Each show program of the Circus is unique in its own way, especially the work of animal trainers. 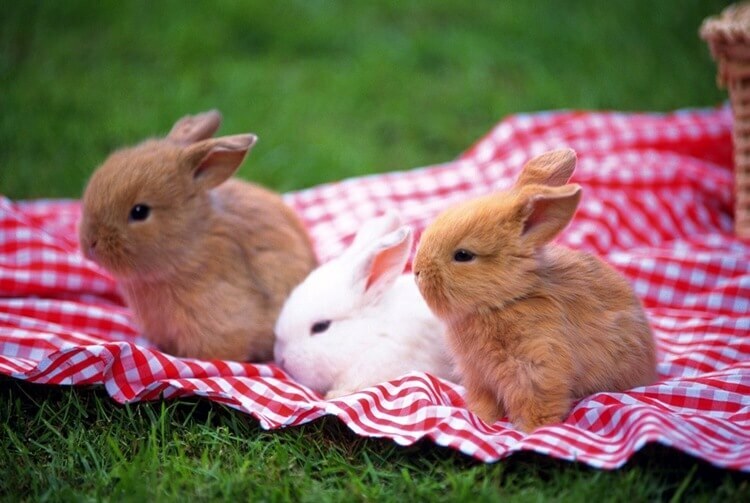 Your children will be delighted with the shows with pets! Adults will be delighted by the professionalism of aerial gymnasts, talented artists will please you with their unique performances. But, the Minsk Circus is not only distinguished by the remarkable performances of its artists, but it is also popular thanks to its clowns. Very popular are the shows with trained monkeys and dogs that will not leave you and your children indifferent. It should be noted that during the show, children are always looked after by circus workers so that they do not accidentally run out into the arena. In our opinion, there is no better joint pastime for children and their parents than the Belarusian State Circus. It is hard to imagine a family holiday in Belarus without the Lebyazhi water park in Minsk – the largest water area with slides in the country. The entertainment zone is located on the shore of the “Drozdy” reservoir, so here it is always quiet and peaceful. Lebyazhy water park is a summer outdoor swimming pool with an SPA area, a thermal zone, 7 bars, surfing pools, an eco-recreation area, waterfalls, a hotel complex, slides with steep slopes and a “lazy river”. Getting into the center, you can have fun with children of all ages – here everything is foreseen. You can also leave the baby under supervision in the entertainment centers of “Kazki” and DarkRide. In the water park “Lebyazhy” you can order a birthday celebration in the aquazon for children and adolescents with a different entertainment program designed for different ages. 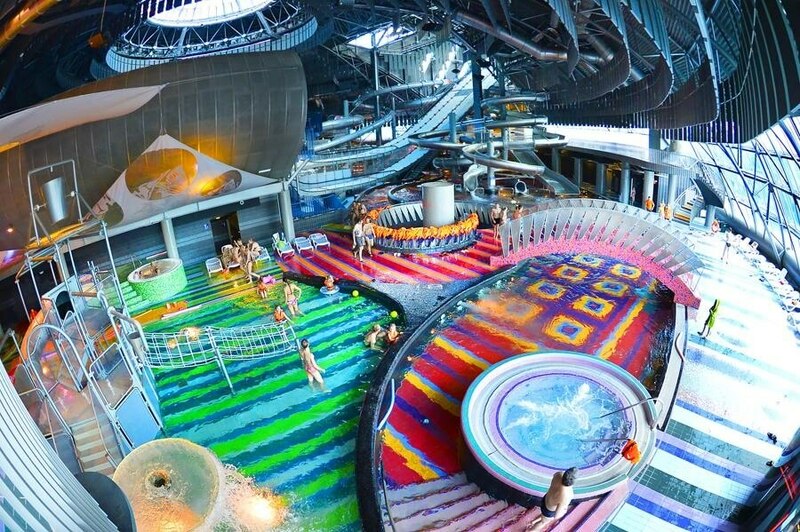 Interesting fact: the Lebyazhy Waterpark entertainment complex has its own symbol, its name is Akvik, an unusual creature that brings luck to all who saw it and fulfills wishes). 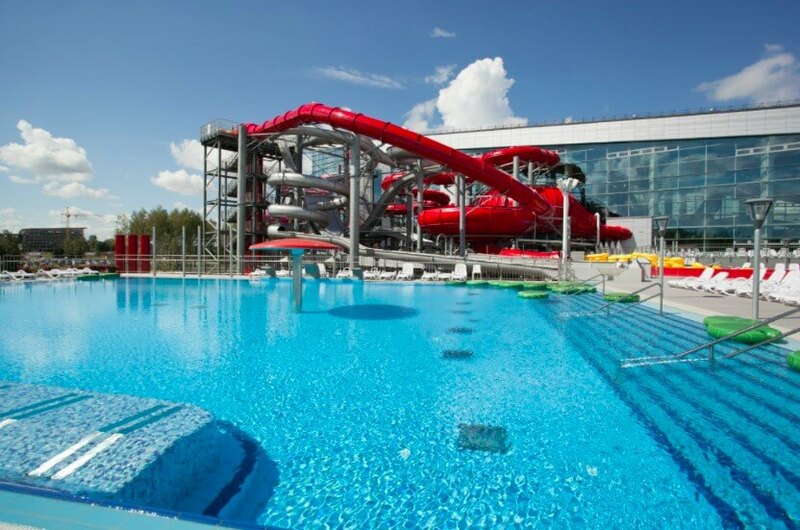 In the center of Minsk, you can also find a water recreation area – the Freestyle water park. This is an excellent place to visit for children in Belarus: 6 slides of various difficulty levels for children and adults, a children’s water town with 2 pools, slow river, Cannon Ball and Space dish for those who prefer extreme, a jacuzzi, whirlpool baths and infrared cabins, several bars and cafes, including the Toffee-bar for children and a bowling. It will also be interesting for children and adults to observe the training of famous Belarusian freestylers in the pools. This theater is one of the oldest puppet theaters in the country and was opened in 1950. The performances are designed for children starting from the age of three, but there are also performances for school-age children. Famous performances are: “Puss in Boots”, “Kid and Carlson, who lives on the roof”, “Little Red Riding Hood”, “Pippi Longstocking”, “Moidodyr”, “Wolf and the Seven Goats”, “Morozko” and others. 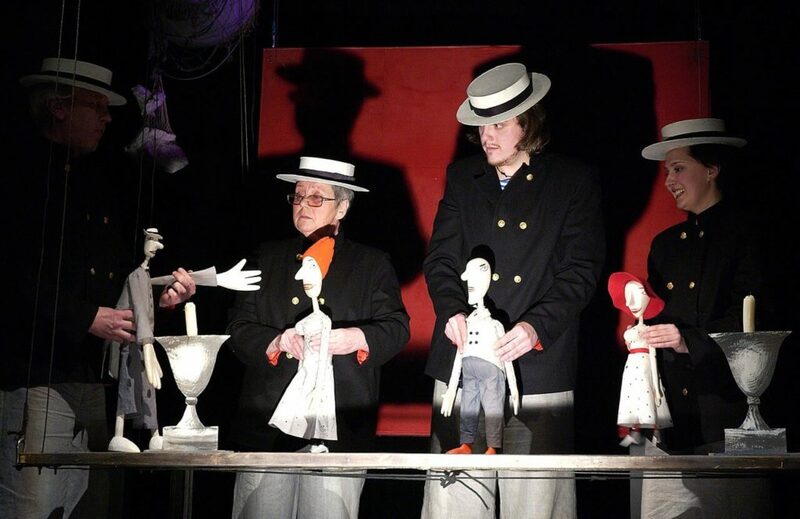 Also, the productions of the Belarusian State Puppet Theater will be of interest to parents as well as teenagers and young people having a special repertoire for them. Before the performance, you can go to the Puppet Museum at the theater. The museum has more than 100 unique exhibits! It is worth mentioning that the theater is very popular and tickets should be purchased in advance. What could be better than a family vacation for the whole weekend !? 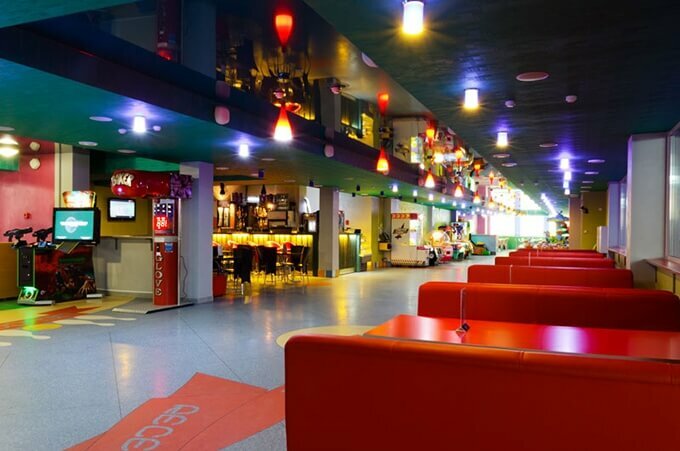 All together you should go to the family entertainment center Titan, which is located in Malinovka. Here you can play bowling with the whole family with sideboards for children, fight in Q-ZAR laser battles and shoot in a laser dash. Still, here you can watch a movie in 5D format, visit the amusement rides… Children will be interested in the huge labyrinth, “Ponickl” attraction and 6D XD-motion auto simulator. After such an active recreation, you can immediately have a snack in the cafe-bistro. 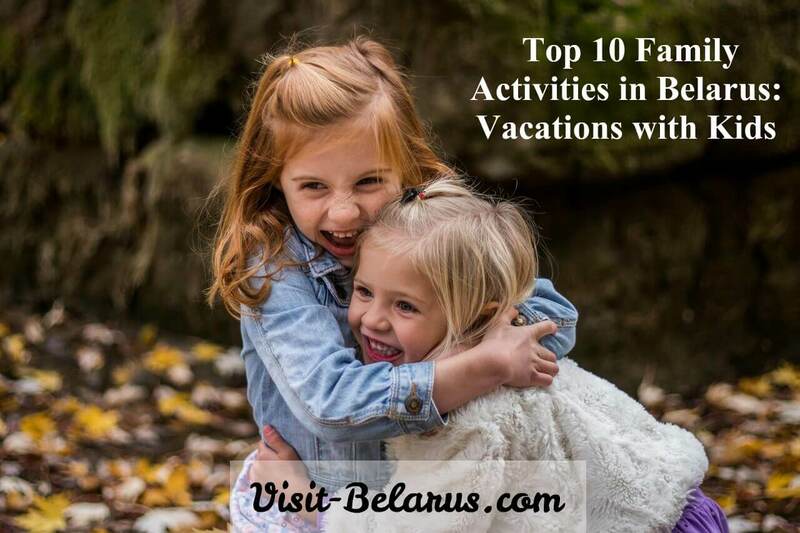 This was our list of family activities in Belarus and entertainment that will be interesting for children. We hope, you will choose where to go with your child on vacation during your visit to Belarus, and you will not get bored! Read about 20 unusual things to do in Minsk. i would like to visit Belarus with my family. Could you help me to provide the information , How to get the visa. You will also find there a link to a website, where you can search for the closest Belarusian embassy to you.